Pictured above from left: LISD Supt. Dr. Sylvia Rios, LISD Board Member Dr. Cecilia Moreno, LISD Board Secretary Rick Garza, Gilberto Martinez, Gerry Schwebel, LISD Board Board President Hector "Tito" Garcia, Board Member Cindy Liendo, and Board Member Jose A. Valdez. IBC Bank Executive Vice President Gerald "Gerry" Schwebel was selected as the September Veteran of the Month by Laredo Independent School District for serving as an exemplary leader in the community and for acting as a role model for LISD students. 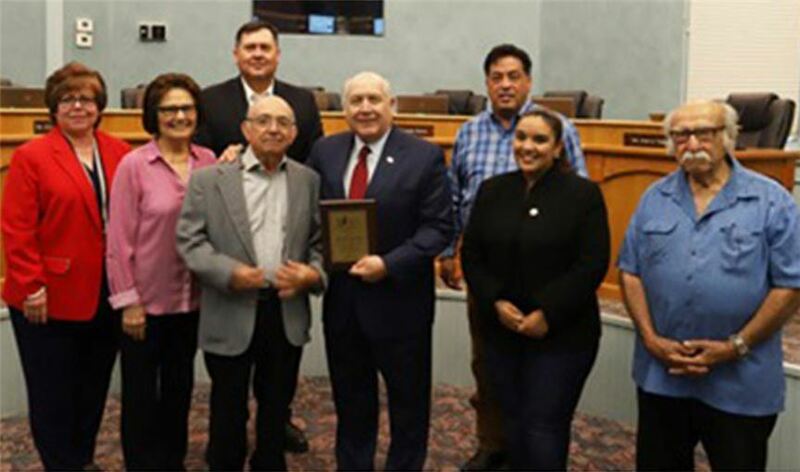 The Laredo Independent School District Board of Trustees honors an outstanding veteran every month during the board's regular monthly meeting. Schwebel was recognized at the board meeting on Tuesday, September 11.